Feb 08 2015: Snow Problem, If You Catch My Drift? 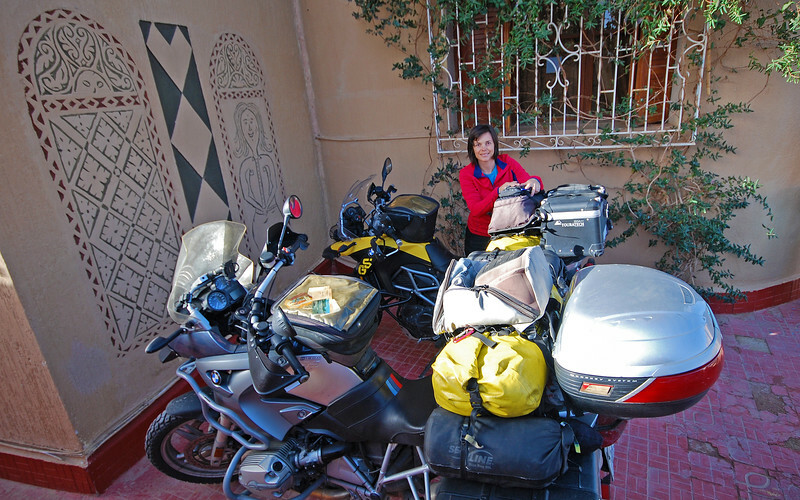 We've decided to venture further south, over the Middle Atlas mountain range. 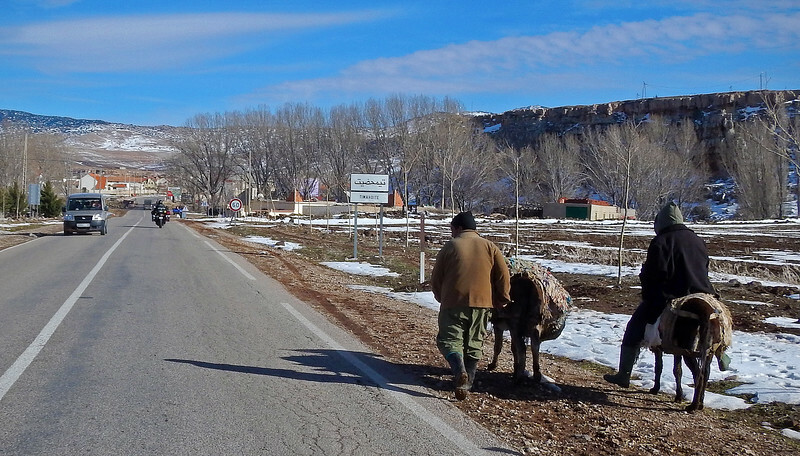 Despite Rashid's warning of snow on the ground, it's the most direct way to gain access to the more interesting geographies of Morocco. Hopefully we won't run into too many problems. I tried to strike up a conversation about his Batman motorcycle, but the couple didn't speak any French at all. I did some research later and I was mistaken - the official languages in Morocco aren't Arabic and French, it's Modern Standard Arabic and Berber. French is considered a "prestige" language, used mainly for commerce and government, but it is considered the de facto second language of the country, despite only a third of the population being able to speak it. 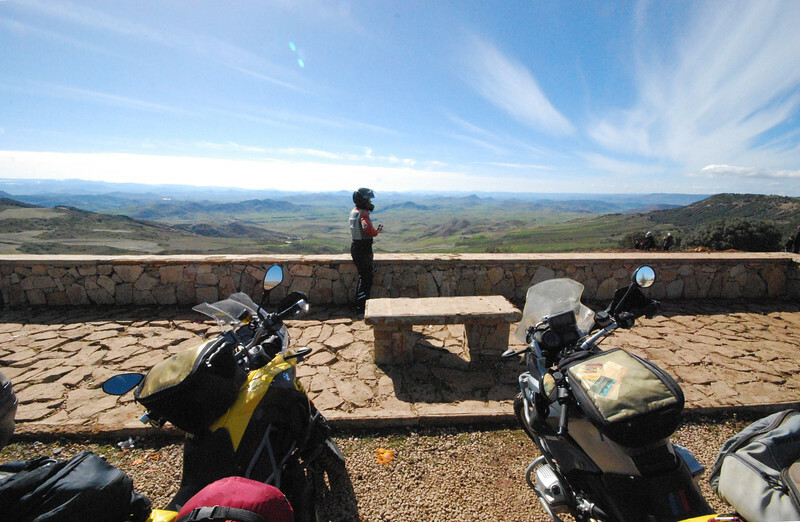 Even with the language barrier, we were still able to convey to our biker friends "Beautiful scenery!" and "Have a safe journey!" through the international language of pantomime. Sitting with the locals having a fried chicken lunch on the road in Boufekrane. There are absolutely no hustlers outside of the medinas. 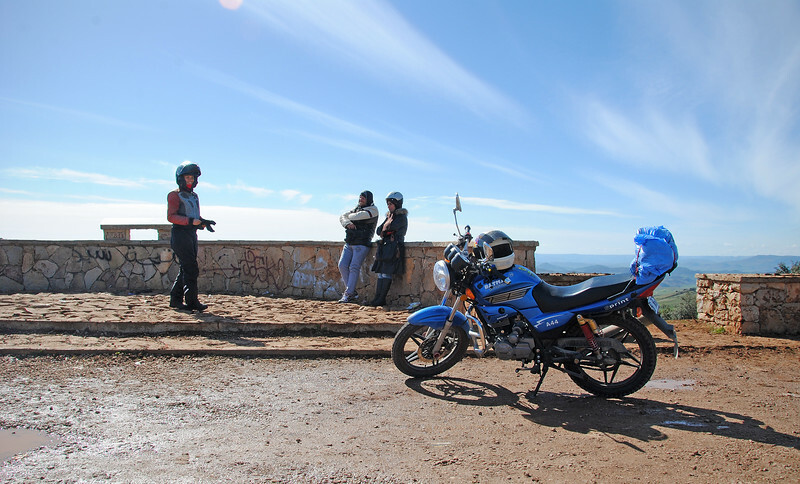 A few people stop to look at our motorcycles, and during lunch, a couple of them ask about where we're from, but instantly we recognize that there's no hidden agendas, just curiousity. I can feel the mental guard that we put up in Fes and Meknes slowly begin to fall and we're feeling much more relaxed about being in Morocco. 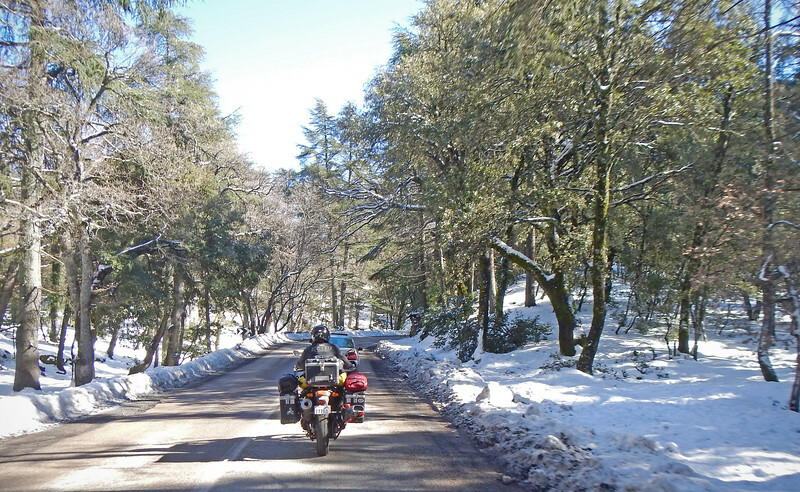 As we ascend the Middle Atlas, we are surrounded by cedar trees, their limbs laden with... snow! Uh oh. 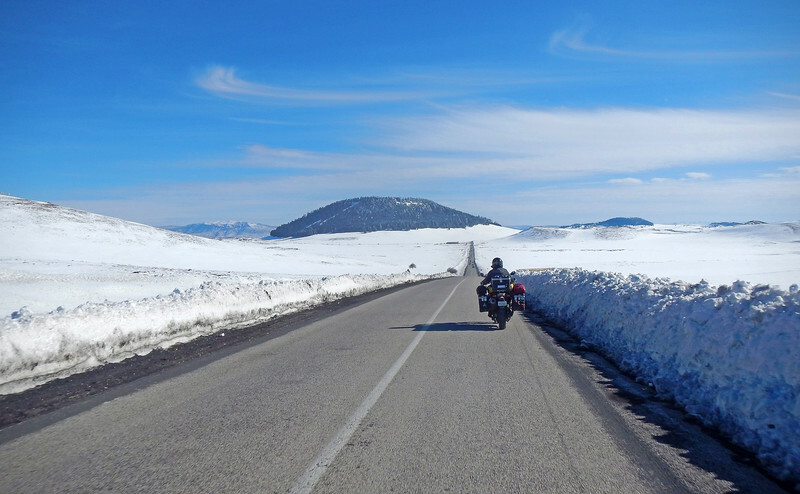 It is quite a sight to see snow appear on the ground in Morocco. 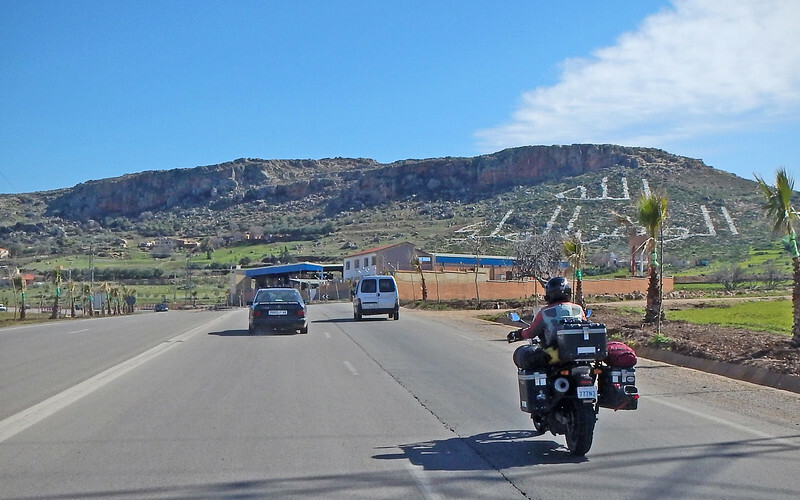 This is not what we were expecting to see when we crossed into Africa! 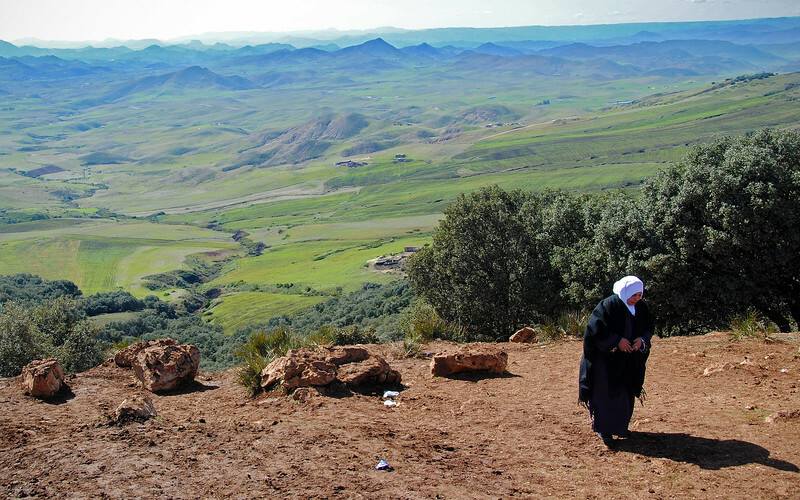 The Middle Atlas is the most northern of three Atlas Mountain ranges in the country and the peaks of this range reach over 3300m (11,000 feet) above sea level. We were nowhere near that elevation, but still high enough for the snow on the ground to pile up higher the further up into the mountains we climbed. 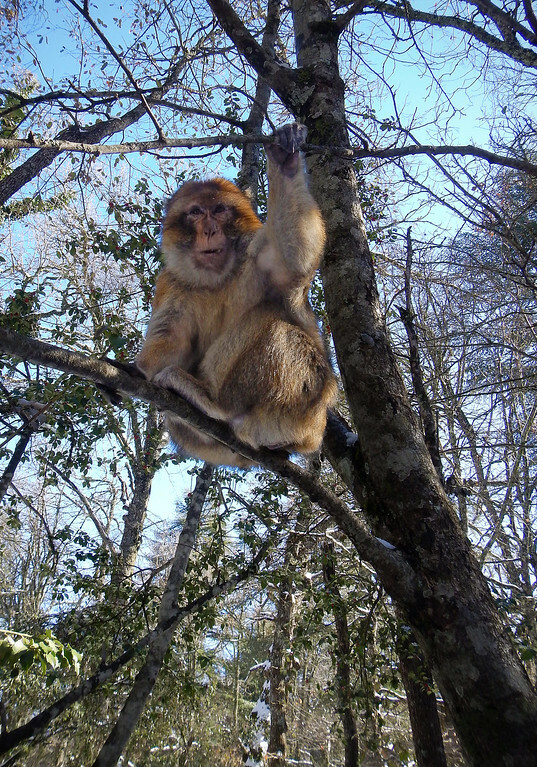 Actually, these are Barbary macaques, indigenous to Northern Africa and named after the Barbary Coast where they originated from. They were everywhere up in the cedars, looking down at the crowd of people gathered below taking pictures and offering fruit up to them. I'm not sure how friendly they were, but they must be very used to human presence. 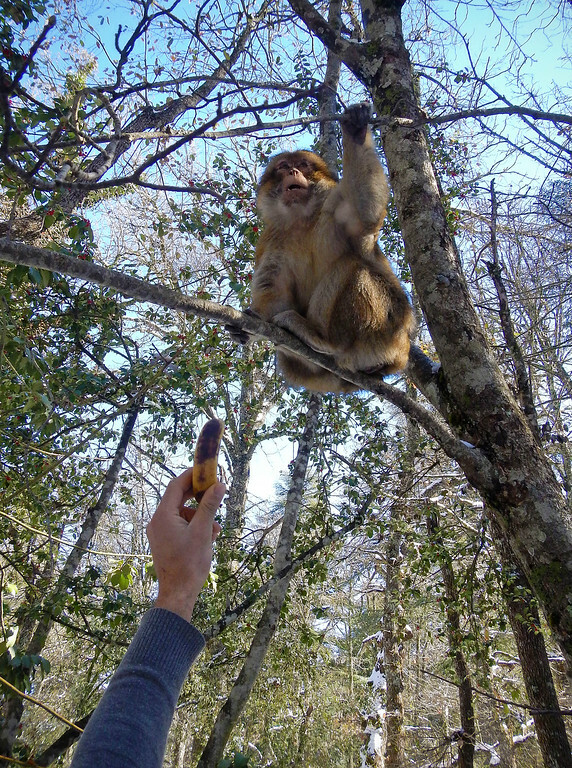 This guy gladly took the banana that was being handed up to it. 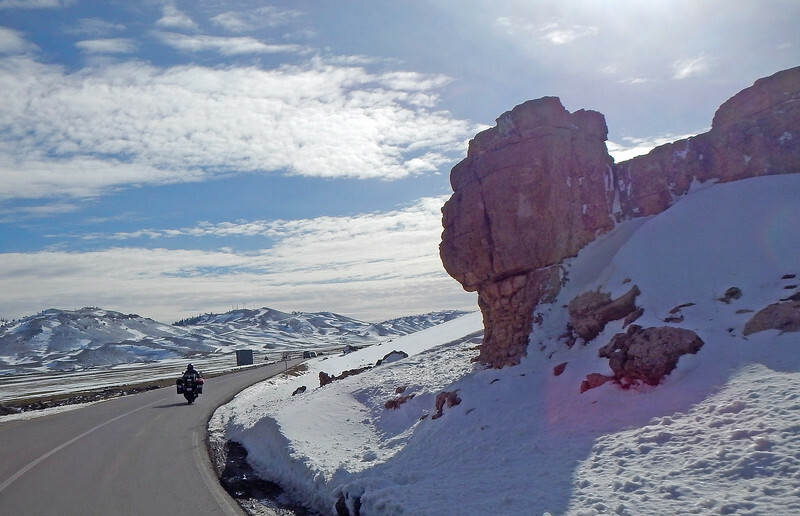 Back on our bikes, we left the snowy cedar forests and climbed higher up the Middle Atlas. 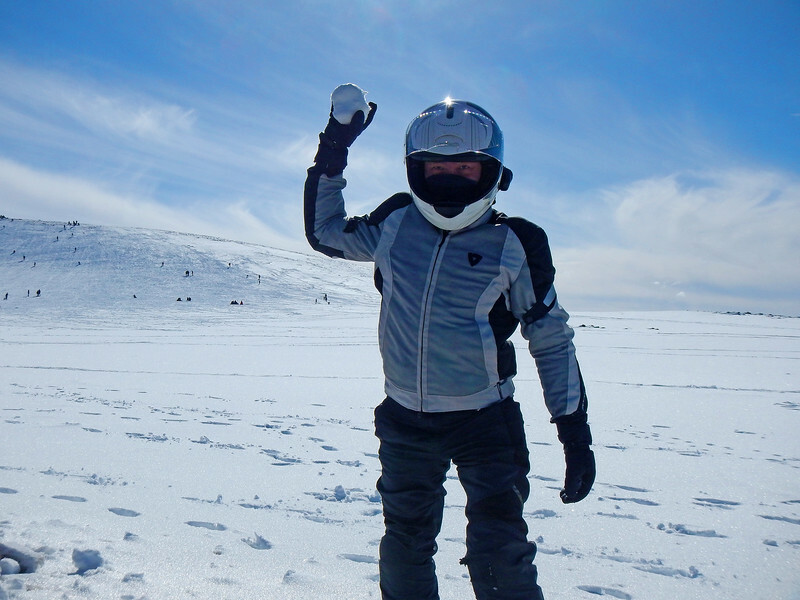 We watched in wonder as the snow banks on either side of us grew higher and higher, sometimes reaching up over the height of our helmets! 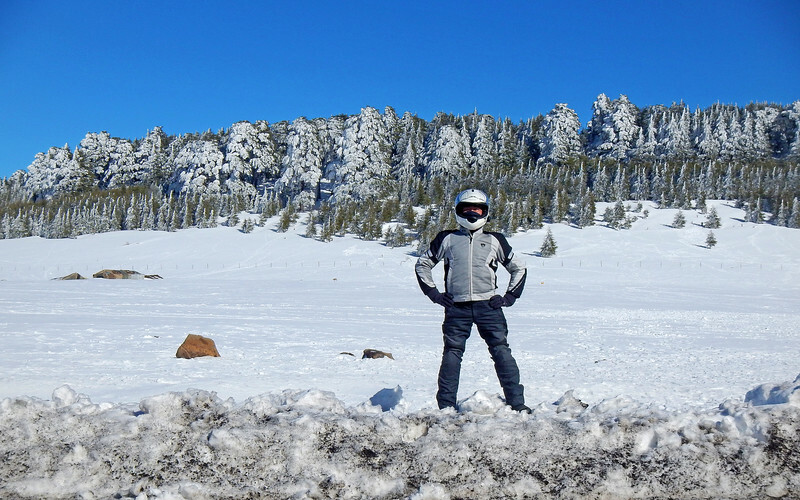 We had read that although the Moroccan government does a very good job at clearing the snow regularly, sometimes after a heavy snowfall the road can still be impassable for quite some time. This is just astounding! We have to stop and take a picture of this! Morrocan in a Winter Wonderland! We noticed that most of the cars passing us had neglected to clear the snow off their windshields. 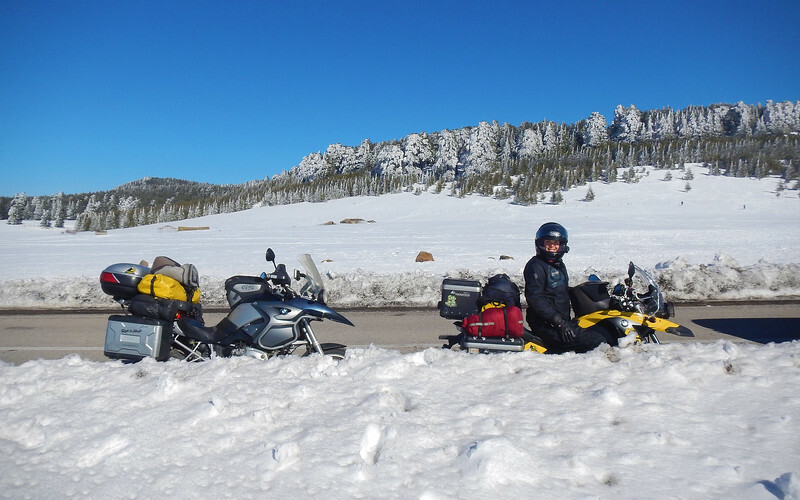 We thought that they must not be used to driving in snowy conditions here. 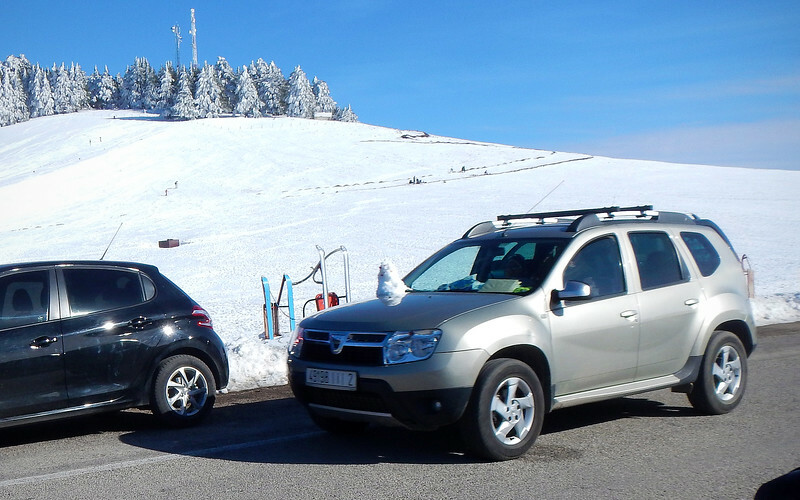 But it soon became clear that this was intentional - Moroccans visiting the Atlas Mountains will make a snowman on the passenger side of their hood in front of the windshield. It's a big thing up here, almost everyone does it! While coming up, we had no idea it was supposed to be a snowman because the snow had melted by the time the cars reached us. 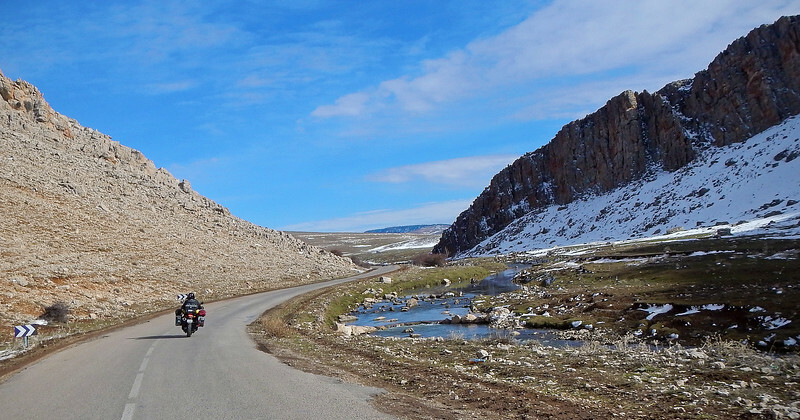 But as we reached the peak of this pass, we clearly saw the three balls of snow piled high in front of the windshields. So funny! Up near the top, the road becomes a makeshift parking lot. 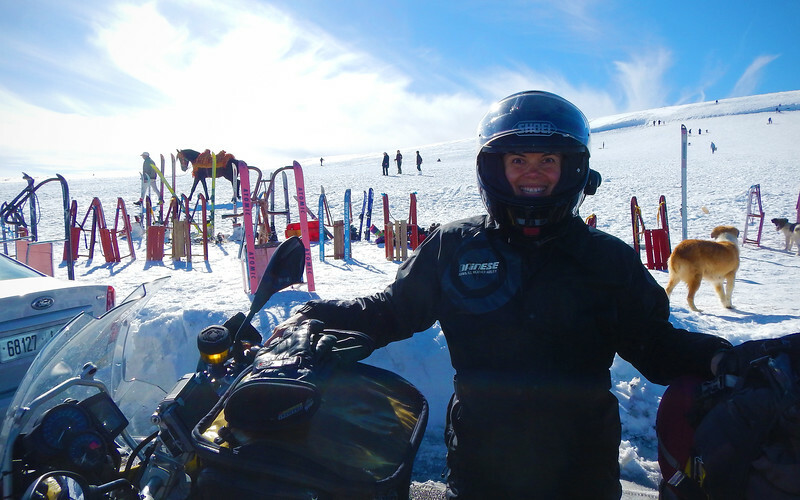 Whenever there are high enough hills by the side of the road, little industries have popped up renting out toboggans and skis to the tourists traveling through the area. 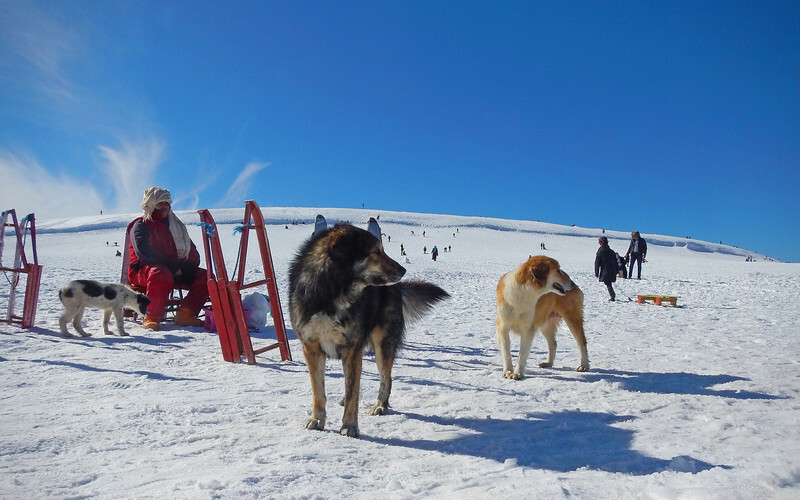 There is actually a real ski resort in the nearby town of Ifrane, but this is the cheaper alternative - no lift tickets required! "Hey Neda, I have something I want to give you..."
What an amazing riding day! 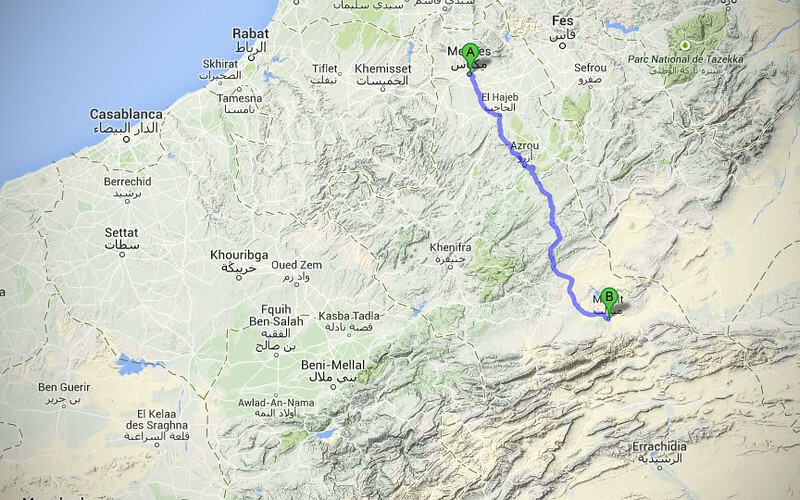 We really haven't ventured far from Meknes. We're in Midelt for the evening, only having traveled a mere 200kms, but there was so much to see along the way. In addition to the pastries and jam we also got dates in the morning. 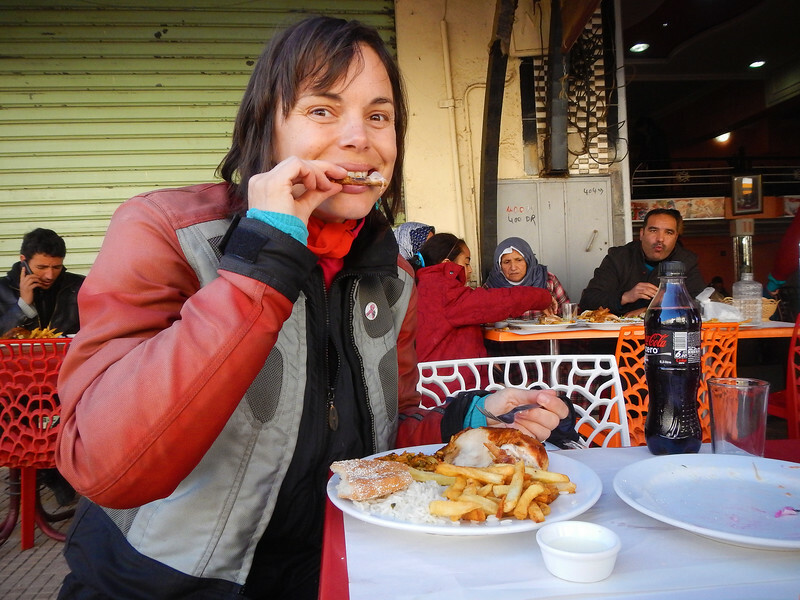 So far our first steps out of the medinas of Morocco have been thoroughly enjoyable! We've shed the hustlers of the big city and the scenery and geography here is absolutely incredible. Can't wait to see what's ahead of us!